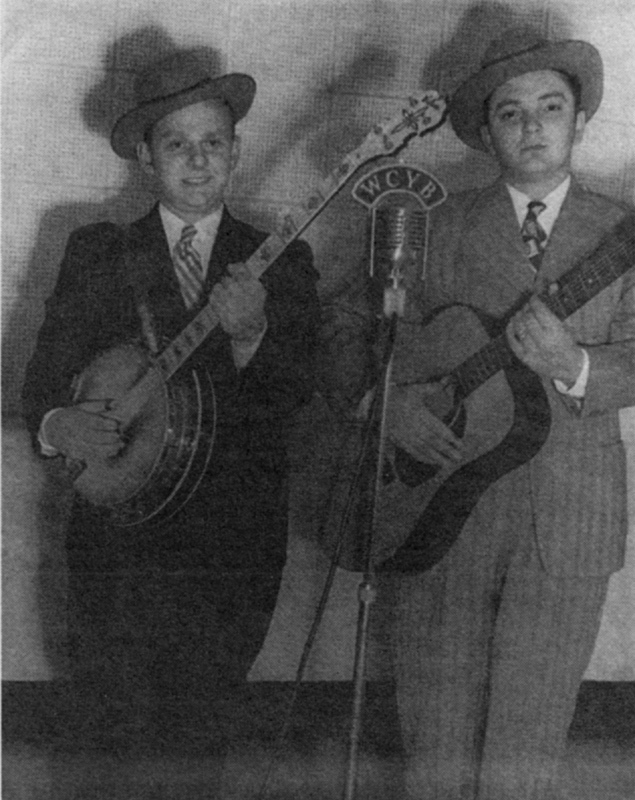 New WCYB Stanley Brothers recording resurfaces! After the exciting news about the restoration of an early Stanley Brothers WCYB Radio Transcription Disc, another set of recordings from around the same time has just resurfaced. The recordings which have appeared on Steve Kilby's "Youtube" channel, include eleven songs from the late 40's. Two have however appeared before on the V/A - Live Again! LP (and Live Again! WYCB Bristol Farm & Fun Time CD), and Molly And Tenbrooks/Roaming Gambler is just the Rich-R-Tone RRT-418 78 with the 'B' side title slightly scrambled. The remaining seven however are completely new. According to Steve the recordings came from Art Wooten, who played with the Stanley Brothers circa 1948 and left the band a little before their first session for Columbia Records in March 1949. Art doesn't seem to be have been the source of the original recordings however, as two of the tracks which have appeared before (Let Me Be Your Friend and Rose Of Old Kentucky) were recorded after he'd left the band and feature Bobby Sumner on fiddle. I asked Gary Reid about the recordings and he explained that they come from a reel-to-reel tape of WCYB recordings that Rebel Records had. Art Wooten had a cassette copy, which presumably was the source for the songs which have recently emerged. Tantalisingly, there are an additonal nine songs on the tape yet to resurface, including Darling, Do You Know Who Loves You which has only otherwise appeared on the Old Time Songs and March Wind, which I guess is a version of The Carter Family's March Winds Gonna Blow My Blues All Away. Let's hope the other material appears at some point! All of the songs which appear on Steve Kilby's "Youtube" channel start with a 35 sec version of the Stanley's 'Farm & Fun Time' theme, which is the same on each video. I've therefore added links to the start of the actual song in the table below. Also as the version of the theme is a different length to those on the Rebel releases, it presumably is one of the two identified on the orignal tape with a "?" below. PS: Listen out for Carter's introduction to Cattle In The Corn where he calls the band the 'Blue Ridge Pardners' rather than the Clinch Mountain Boys!